Those Darlins are planning to follow their snarling third studio effort, this year’s fantastic Blur the Line, with a live album. The Nashville foursome will record their upcoming performance at hometown venue the Stone Fox, which is owned by local guitar virtuoso William Tyler and his sister Elise. 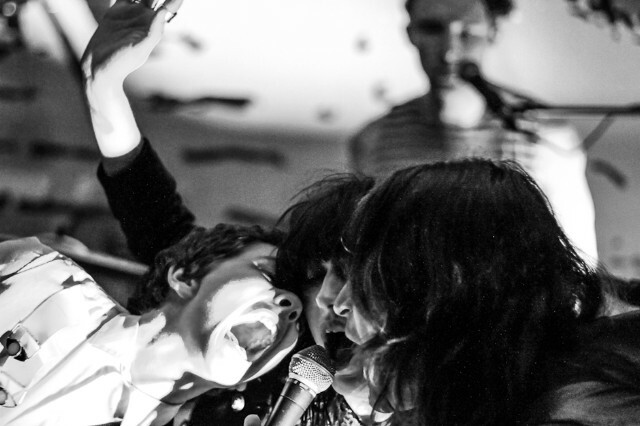 Those Darlins are booked to take the stage on Friday, December 20. Other details on the upcoming project are scarce, but fans can expect a performance that pulls heavily from the garage-punks’ latest LP, meaning singles “In the Wilderness” and “Optimist” are likely to land somewhere in the set list. Tickets for the show are available here. For a preview of Those Darlins’ live show, watch the group play two songs at Voodoo Music + Arts Experience 2013 exclusively for SPIN and Toyota’s Soundwave tent.